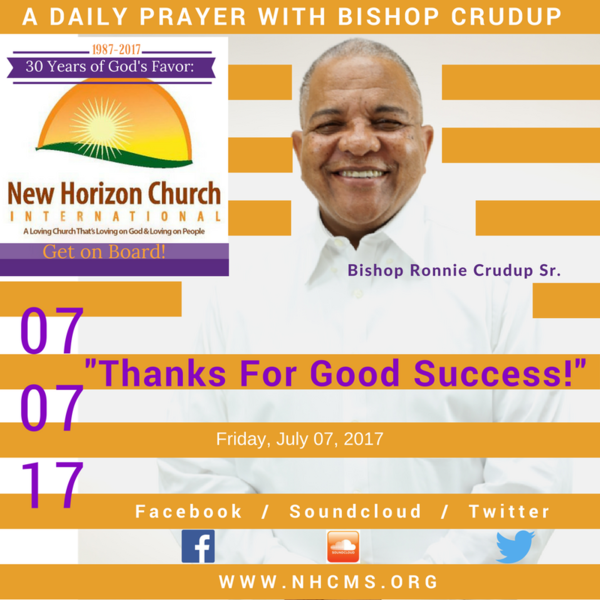 For Friday, July 07, 2017, Bishop Ronnie C. Crudup Sr., prays "Thanks For Good Success!" The year of 2017 marks the 30th Anniversary of New Horizon Church International of Jackson, Mississippi. Wednesday, March 22, 2017, A Daily Prayer With Bishop Crudup "It Is A Great Wednesday!" Friday, April 14, 2017, A Daily Prayer With Bishop Crudup, "Good Friday 2017!"